Your generosity will definitely make a difference to a child who is less fortunate. 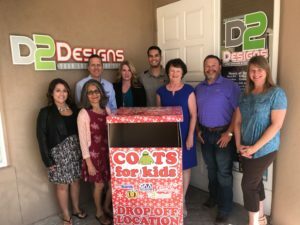 US Bank, 101 Gold, Community Action Agency, Comet Cleaners, and D2 Designs are once again sponsoring the Coats for Kids program in Las Cruces to help underprivileged children in our area. This is the 24th year of this program, and we are excited about getting started! This is a simple and compassionate project that makes a large impact in our community. There were over 3000 children registered last year, and because of the generous donations of new and gently used coats, as well as the cash we received, no child was turned away. Over 50,000 coats have been given to needy children in Dona Ana County, since we began this program in 1995! As we move into the cold winter months, we know you would agree no child in our community should be without a warm winter coat. You can help us by providing volunteers to the Coats for Kids program, organizing additional coat donations within the university and or community, helping us with new ways to raise money for the Coats for Kids fund. These funds are used to purchase coats to supplement the used ones we receive. Your generosity will definitely make a difference to a child who is less fortunate. We work closely with the Social Workers and Counselors in the Las Cruces Public Schools, Hatch Public Schools, and the Gadsden School District to help us identify children, birth through the 5th grade, who need a coat. If you would like to volunteer your time or know of a group that would like to volunteer please call Alycia at 575-541-0202. Please join us in making Southern New Mexico a warm and wonderful place to live and grow for all children. 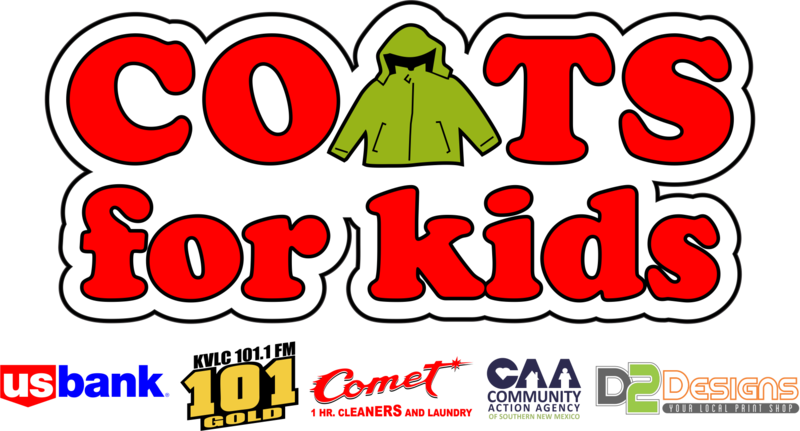 Please check your closets for coats to donate, or mail your cash donation to Coats for Kids at US Bank, 277 East Amador, Las Cruces, NM 88001. A tax-exempt receipt may be provided, if requested through our partner, Community Action Agency. Thank you for your consideration! Volunteers needed to organize donation drives.